10 professional instructions to follow when your car has been flooded? What to do with a flooded car? Immersion in water can provoke serious problems with a car, follow these ten steps to assess and address the damage. 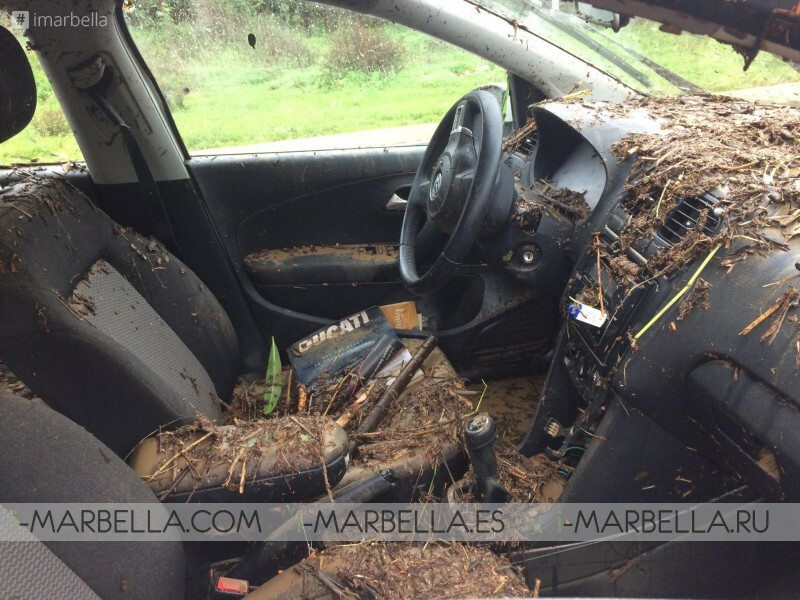 Has your car suffered the water immersion during the floods that stroke Costa del Sol beggings of December 2016? Immersion in water can provoke serious problems with a car, especially an engine, electrical system, and interior. If your car has been immersed in water more than halfway up its wheels, follow these ten steps to assess and address the damage. 1. Do not attempt to start the car! It's tempting to turn the key and see if the car still works, but if there is water in the engine, attempting to start it could damage it beyond repair. I've outlined a few basic checks below, but if in doubt, it’s best to have the car towed to a mechanic. 2. Determine how deep the car was submerged. Mud and debris usually leave a waterline on the car, inside as well as out. If the water didn't rise above the bottom of the doors, your car will probably be fine. Most insurance companies will consider the car totalled (damaged beyond economically-reasonable repair) if water reaches the bottom of the dashboard. 3. Call your insurance company. 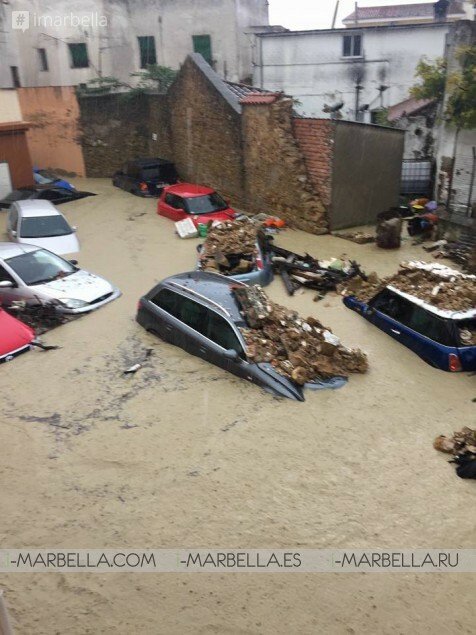 Flood damage is generally covered by comprehensive (fire and theft) http://www.consorseguros.es/web/ambitos-de-actividad/seguros-de-automoviles, so even if you don't have collision coverage, you may be covered for repairs or replacement. Your insurance company will probably be flooded (sorry) with claims, so it's a good idea to start the process early. 4. Start drying the interior. If water got inside the car, mould will grow quickly. Start by opening the doors and windows and putting towels on the floor to soak up water, but you should plan on replacing anything that got wet, including carpets, floor mats, door panels, seat padding and upholstery. Remember, these repairs are likely to be covered by your comprehensive insurance. 7. Check all of the electrical systems. If the engine looks OK to start, check everything electrical: Headlights, turn signals, air conditioning, stereo, power locks, windows and seats, even the interior lights. If you note anything even slightly amiss -- including the way the car runs or the transmission shifts -- that could be a sign of electrical trouble. Take the car to a mechanic, and remember that the damage may be covered by insurance. 9. If in doubt, push to have the car totalled. A flood-damaged car can experience problems months or even years after the event. If your car is a borderline case, consider pushing your insurance company to declare the car a total loss. Replacing it will cost money, but you may save yourself from some major (and expensive) headaches down the road. 10. Beware of flood-damaged replacements. Many cars that are totalled due to flooding are simply cleaned up and re-sold. Before buying a used car, have the title checked; words like "salvage" and "flood damage" are giant red flags. Get a comprehensive history on the car -- if the car has been moved from another state and re-titled (especially a state that has been subject to flooding just before the title change), the seller may be trying to hide flood damage. Before attempting anything, it is in your best interest to seek some professional opinion on the condition of your car, and take action according to the instruction provided by mechanics. I certainly hope this article was of help to you.